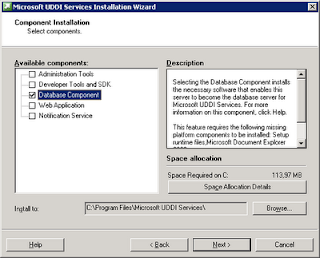 The installation documents doesn't explain how the setup for UDDI 3 is to be done when the SQL Server is installed on a separate machine than where the UDDI services are to be placed (in my case on the BizTalk 2009 server). Here is the steps I take. Run setup.exe from the BizTalk media on the SQL Server and choose to install UDDI 3. Install only the database components. When the installation finishes, choose to configure the UDDI services. 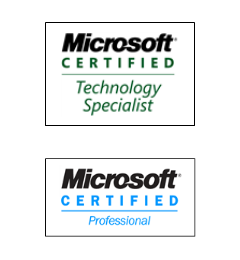 Select to do a custom configuration and specify the service account to use. 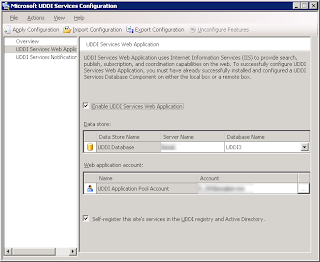 Go to the UDDI Services Database Component page of the configuration and choose to enable UDDI Services Database Component and deselect the SSL requirement. 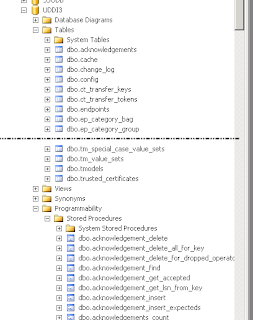 A failure with the apply task will most likely be due to a lack of permissions to the SQL Server. Make sure that the account you are logged in as (or use to run the configuration tool) has the appropriate permissions to SQL Server. If successful, you should end up with a UDDI3 database on your SQL Server. Start the UDDI3 setup from the BizTalk media on the BizTalk server. Choose to install the components necessary, except for Database Components. Finish the installation and select to run the configuration tool. Enter the SQL Server name and the credentials for the service account and select to do a custom configuration. 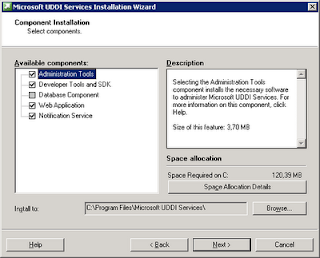 Check the Enable UDDI Services Web Application box. Note! 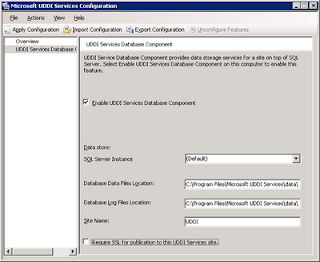 If you lack the proper credentials to the UDDI3 database on the SQL Server, you will see a red cross next to the Data Store name with an error message of "The database UDDI3 on BTSSQLSRV01 is not a valid UDDI database.". The database is in fact just fine, but the account used to run the configuration tool doesn't have all the required permissions to access the database. 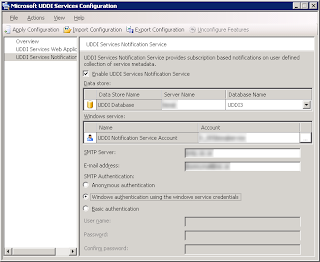 Go to the next page and check the Enable UDDI Service Notification Service box. Enter the information for SMTP server and E-mail address. Go to the URL specified for the UDDI services and verify that everything is up and running. Thanks for posting this. I have not seen this information anywhere else. Thanks for this. Still very useful.